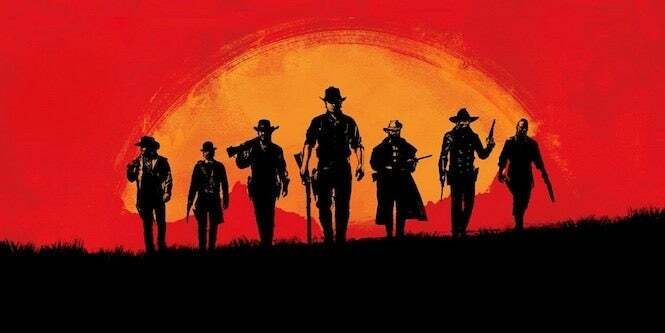 Perhaps unsurprisingly, Red Dead Redemption 2 will have the biggest map Rockstar has ever created, even bigger than Grand Theft Auto V.
News of the impressive features comes way of PlayStation Access, who confirmed a variety of interesting and new tidbits about the upcoming open-world western game. And the most interesting of the tidbits is the confirmation that the game will be the biggest world Rockstar has ever crafted. And this is an impressive feat by itself, but when you consider how much slower you move around the world in Red Dead compared to GTA – horses vs. vehicles – it makes the feature all the more crazy. Even by 2018 standards, GTA V is a big game that takes awhile to travel around, even with planes and sports cars. That said, it seems like it will take quite a decent chunk of time to fully explore Red Dead's world on horseback. Like, a ton of time. And not only will Red Dead Redemption 2's world be the biggest Rockstar has ever tackled, but it will also be the densest, most interactive, most dynamic, and most true to reality. So not only is Red Dead Redemption 2's world 500 miles long, it's 500 miles deep, pack full of things to do, characters to meet and interact with, and the remains of your previous actions. For example, if you kill a group of bandits on a hillside, their bodies won't just disappear in classic video game fashion. They will lay there and rot, before their remains are eaten by vultures or some type of scavenger animal until all there is left is some bones. The game's ambitious world isn't very surprising when you consider Rockstar has established itself as a bar-setter, and the fact that the previous Red Dead Redemption was also incredibly ambitious and grand for its time. Red Dead Redemption 2 is in development for PlayStation 4 and Xbox One. At the moment -- barring any delay -- it will release on October 26. For more on the game, including other recent news and its latest trailer, click here. And as always hit the comments and let us know what you think of the news, and how you plan on getting off work for the entire month of November to play it.